TWICETHEBLOG. I am so excited to share this blog with you, it quite literally does what it says on the tin, gives you double the blogger! I have teamed up with my best friend of 13 years Madeleine Bowden, we will be sharing out personal style and all the beautiful things we love. Too many hours have been spent discussing all things fashion and running our individual blogs, i actually cant believe it took us so long to think of doing one together! To the readers of Shoes&Sashimi, i just know you will love TWICETHEBLOG, check it out and follow me there too and of course meet my beautiful best friend. 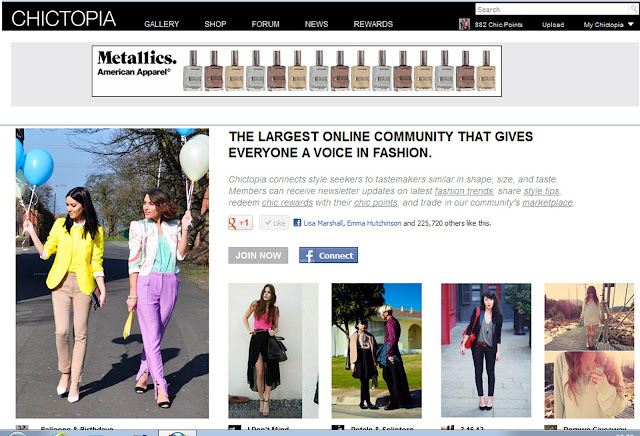 Our second post 'Balloons&Birthdays' is todays Editors Pick on Chictopia so make sure you follow us there too.